Milwaukee, WI – Despite grey skies, unseasonable cold and intermittent rain showers, PrideFest Milwaukee conquered the weekend weather with unprecedented attendance outcomes. For the seventh consecutive year, PrideFest delivered record-breaking attendance with 45,400 visitors in 2018. This number reflects a 21%increase over the previous record of 37,682 set in 2017. This is the single largest year-over-year increase in the 31-year history of PrideFest Milwaukee. The first-ever VIP Tea Dance, sponsored by premiere radio partner 91.7 WMSE. 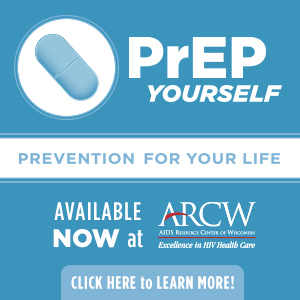 2018 was also the first year that PrideFest Milwaukee rejected tobacco sponsorship dollars, refocusing on local LGBTQ well-being through expanded Health & Wellness, Stonewall Stage, PrideFit and South Ends Sports Zoneprogramming. Through the PrideFest Plus One Campaign, the festival also raised $6,079 for this year’s beneficiary, Diverse & Resilient. This is the largest sum ever raised at the festival for a Plus One cause. 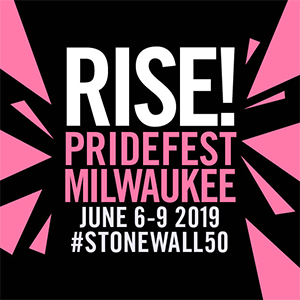 PrideFest Milwaukee 2018 welcomed headliners The B-52s, Jussie Smollett, Daya, JoJo, Cash Cash and over 300 additional acts at 10 performance spaces, including the extremely popular Dance Pavilion, Wom!nz Spot and Milwaukee Record Stages. Virginia Delegate Danica Roem served as keynote speaker at Opening Ceremonies, where the 2018 Pride Awards were delivered to five local heroes. This year’s Opening Ceremonies were dedicated to Josie Carter, a gender non-conforming woman of color whose involvement in the Black Nite Brawl of 1961marked Wisconsin’s first documented LGBTQ uprising. Carter was also celebrated at this year’s PrideFest History Exhibit. “As those who strive to preserve history, it only makes sense that we continue to make history,” said Wes Shaver, president of Milwaukee Pride, Inc. “Who would ever have dreamed in 1988 that a modest picnic in Mitchell Park would become a world-class celebration recognized worldwide? Dates for PrideFest Milwaukee 2019 will be announced in July. Sponsors, donors, volunteers and vendors are encouraged to contact info@milwaukeepride.org.